Beautiful Stationery and Accessories to suit every budget! Our fabulous easy to use online shop allows you to view our designs & pricing and allows you to order customised samples of our stationery. Because all of our designs are expertly printed & handmade in-house we have the ability & flexibility to create and alter any of our designs to suit you. The superior quality of our products will delight you and wow! your guests. To meet us in person make an appointment to visit our studio at a time that suits you - including evenings or weekends. 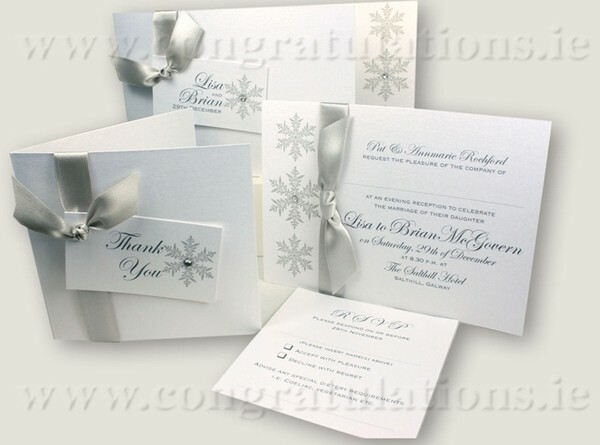 Complete wedding stationery suites customised for you with your wording and colours. DIY quality stationery supplies - Invitations, Scrolls, Pockets, Wallets etc. & embellishments etc. Envelope seals, Organza bags, name tags, address labels etc. Ceremony books, Ceremony brochures, Ceremony scrolls etc. Table decoration, table numbers, table plans, place name cards etc. 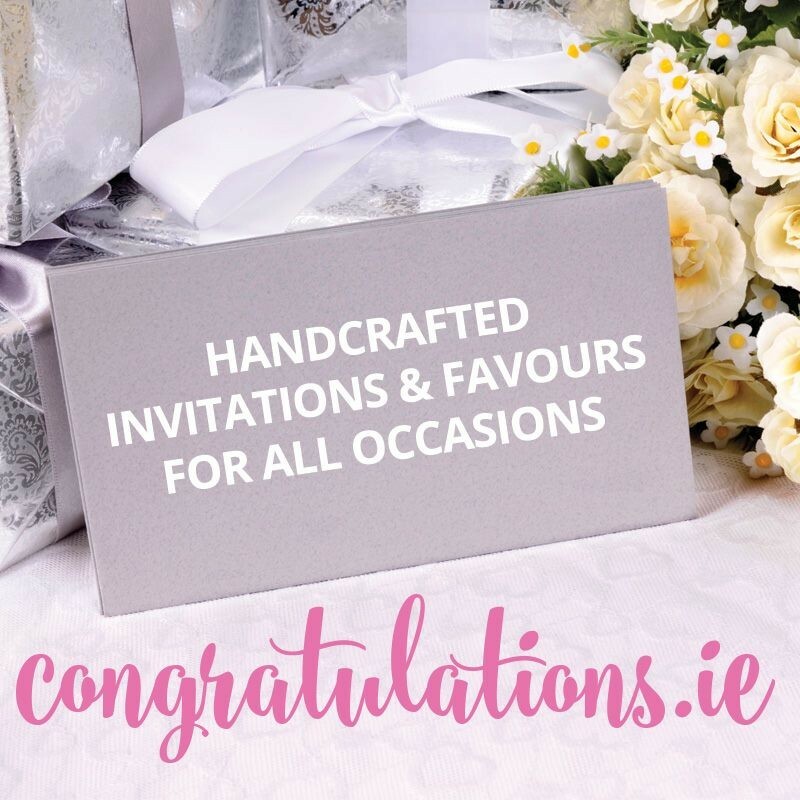 I ordered my wedding stationery from congratulations.ie and am so glad I did! The quality is amazing, the price was very reasonable too compared to other invitation suppliers. I'm getting my wedding favours from them too - so many lovely ideas to choose from I can't decide. Highly recommended! 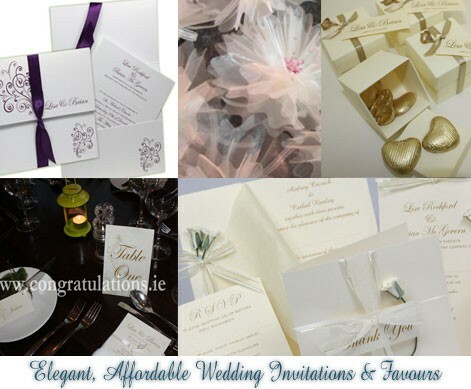 Hi Teresa.. We honestly can't Thank you enough for all your hard work on our beautiful Love Collection wedding invitations, Both myself and Sam were thrilled with them.. Our envelope seals were a lovely touch too? Everybody complemented on how amazing they looked... We've also ordered our photographic thank you cards, the proof's were really beautiful so we're looking forward to receiving them in the next couple of days...Thanks Again ! After looking everywhere for a guest book to bring to a Hen Party I found this one on the website. It is perfect as it can be used for any event. The paper quality is excellent and the cover is simple and elegant. Excellent value for money and was delivered to me the next day. Fantastic! I received my address labels yesterday, thank you very much! I can't believe how quickly my order was processed! The labels are really gorgeous, all our wedding guests admired them when they received them on their invitations, now they'll get to appreciate them again on the thank-you cards! I just wanted to write to let you know how delighted I was with my invitations .I have sent them out and the feed back I have been getting off everybody so far is the same they are the nicest invitations i've seen! The quality is brilliant and there was never a problem when I emailed you with any queries or wanted to change the colours.Thanks again and ill certainly have no problem ever recommending you to people when their getting married. 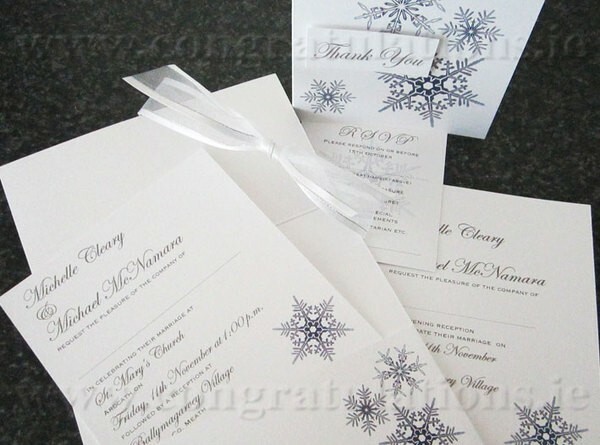 I have just recieved my order for Winter Crysal invitations and they are even more lovely than the photo. The quality of these products is fantastic and there is no DIY involved at all which is great for the cost. They were delivered very quickly after I placed my order I really do recommond congratulations.ie for strong service and lovely products. Gorgeous crystals thank you. Really sparkly too. Will look lovely on our tables and will catch the light alongside all the tealights on the table. I was delighted when I received my order in the post. Everything was perfect. 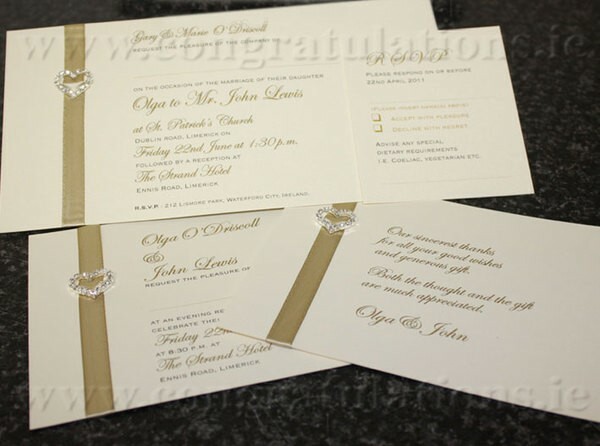 The quality of the day invites, rsvp, ceremony booklets and Thank you cards is excellent. I cannot recommend this company highly enough for their professionalism and efficiency throughout the production process. Teresa was very thorough and very obliging with any personal touches I wanted. A very efficient high quality driven service. Very good value for money. Having spent weeks looking for wedding invitations I was thrilled to find the forest green announce collection. Exactly what I was looking for...stylish and classy and most importantly didn't break the bank!! We are going to order our wedding favours here too. It is a one stop shop for all you need, so don't waste any more time looking elsewhere. Teresa was amazing to deal with, very helpful and made it hassel free for us. I just received our order today. They're absolutely gorgeous!!! They real ones are so so so much prettier then the sample shown on the website. We love it. Thank you Teresa. Excellent invites and service...thanks very much Teresa!!! The Ivory 115MM Square Envelopes were ordered yesterday afternoon, and arrived this morning. It is exactly what we had requested and is ideal for what we require it for. 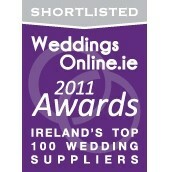 Couldn't complain at all about everything with congratulations.ie!!!! 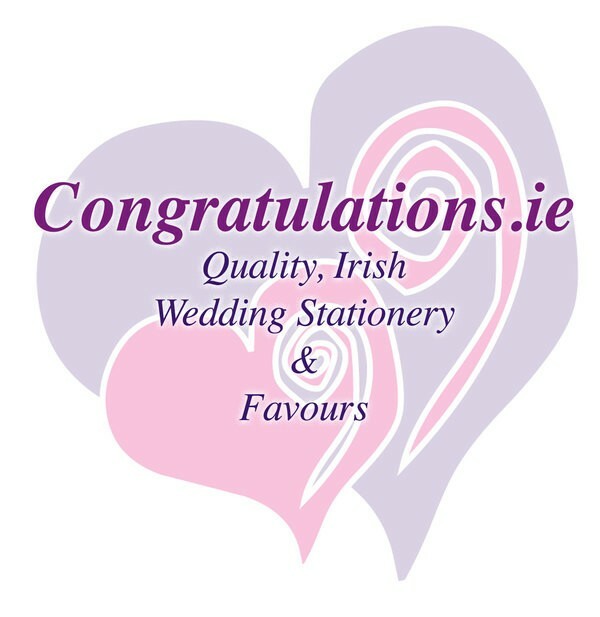 We have just received our Stationary from Congratulaions and are delighted with them. They are exactly as we wanted I can't wait to see what our guests think. The whole process was completed in a matter of weeks; from our initial enquiry, receiving samples, approving the final proofs and then delivery today! Teresa was very helpful and kept in contact with us every step of the way. The care and consideration, even down to the packing of each of the items, has been brilliant. 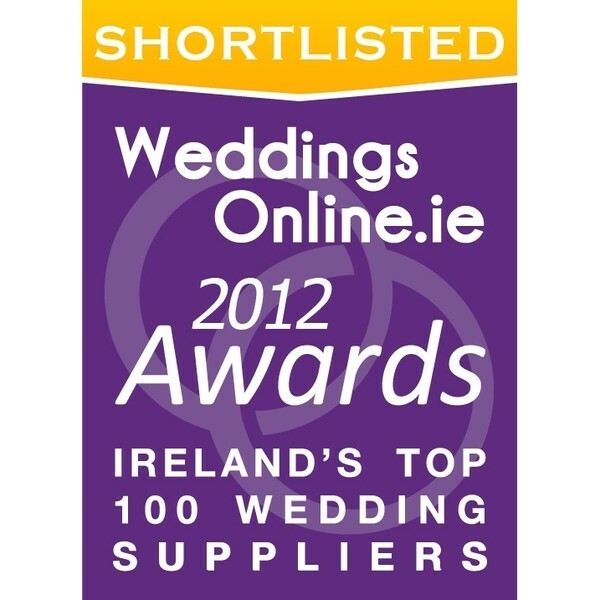 We could not recommend them enough! Ordered my invites from Teresa, after many samples from many different suppliers, I just knew that the the ones from Congratulations were extra special. Teresa bent over backwards to accommodate me, and I just sent the invites out this week. I can't wait to hear the feedback on them. So far all of my friends said they have never seen any invitations as nice. I used Teresa for my invitations and was very impressed with the service she provides. I was a little concerned communicating online and over the phone but it was so easy. I picked a few invitations I liked from the website and sent for some samples which arrived in a couple of days. They were excellent quality, and she tweaked them to suit my wedding colours better. Once ordering an invite and thank you cards, she sent me a proof within a week and then a second proof via email (a pdf file). Once we approved the email proof we received our invites in 4 weeks as promised. They came in a lovely package and are perfect, excellent quality. I'd highly recommend 'congratulations stationary' for hassle free invites. I just received my invitations from Congratulations Handcrafted Designer stationery and I am absolutely thrilled with them, they look amazing and are so different. Everything looks really fantastic from the Day / Evening Invites, RSVP, Thanks You Cards to the Menu and Mass Covers. I think the whole order turned out even better than I expected. I cannot recommend Congratulations Handcrafted Designer stationery highly enough. Teresa was an absolute pleasure to work with, she is so nice and helpful, she tailored the stationery perfectly to our specific colour schemes and she worked so fast, she fulfilled our large order so quickly. I am so impressed with the quality of work and the final product. 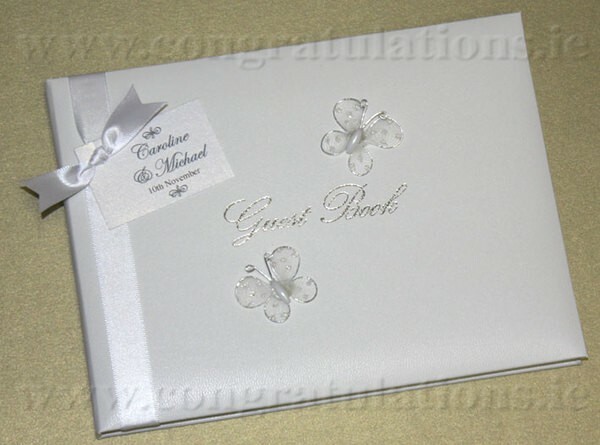 I would recommend Congratulations Handcrafted Designer stationery to anybody looking for Wedding Stationery. We were looking for something simple and elegant and we found it with 'Congratulations'. The designs are timeless and clasic and Teresa was very helpful and professional. The invitations arrived in perfect condition and right on time. Everyone has complimented us on the invitations and I think they have set the perfect tone for the rest of the wedding day. Highly recommended!